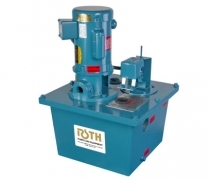 Low NPSH Regenerative Turbine Pump OverviewRoth Low NPSH chemical pumps provide continuous, high pressure pumping of non-lubricating and corrosive liquids at only 1 ft. (0.30m) NPSH. These pumps are designed to pump a wide variety of chemicals including liquefied gases from 4 to 150 GPM (0.91 to 34m3/hr) with process heads up to 1600 ft. (448m) TDH, and temperatures from -150° to +450°F (-100° to +232°C). Front pull-out makes seal maintenance easy. The impellers in Roth pumps are machined from one piece of metal. 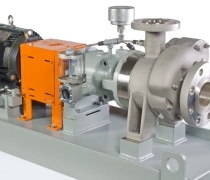 A special inducer, provided in all Roth low NPSH pumps, is designed to function without cavitation when pumping liquids at or near their boiling point. 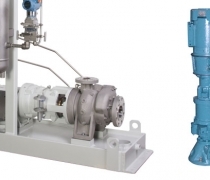 These pumps are ideal for pumping liquefied gases.